When it comes to selecting the proper window treatment for your bedroom, you need to take into consideration privacy, light filtering, as well as cost factors like heating and cooling. Before you purchase or even look at window treatments, figure out what use the individual living space has. Once that’s been done, ask yourself what the ideal lighting conditions or privacy requirements for the living space are. Having helped countless customers design and install window treatments, Shading Systems offers two options that truly create an unrivaled ambiance in and around your home. If you’re looking to receive the most benefits without breaking the bank, then we recommend looking into Blackout Shades and Retractable Awnings. Retractable awnings are great for patios, balconies or any outdoor space where you’re looking for some shade on a bright, hot day or some protection from the rain on a gloomy day. Retractable awnings let you use your exterior areas to the fullest. Protect your patio space from heat, sun or rain with a retractable awning. Retractable awnings are not only great protection against unwanted weather, but because they are adjustable you can adjust them based on certain weather conditions. Most of us want to save energy cost and control the elements of the weather when it comes to our homes. Summer days mean hot uncomfortable days and winter days can mean pouring rain for most of us. Being this is true for most of us, many of us should look into adding a retractable awning to our backyard patio or some of our windows that are most effected by the weather’s elements. Retractable awnings can be installed in a variety of exterior areas including decks, balconies, patios, cabanas and other outdoor spaces. Depending on your space, you can customize your awning to your liking. Whether manual or motorized, you can adjust the shades to any angle you desire, depending on if you’re looking for protection from the sun or rain. Motorized retractable awnings can be linked to timers and can automatically retract according to sensors or timers. They can also be manually controlled or with the touch of a button. Believe it or not, since motorized shades don’t require a fixed frame, they are easier to install than fixed awnings. The benefits of a retractable awning are that of many! On a rainy day, stepping outdoors under an awning will be a dry moment instead of a wet moment. On a hot day there are many benefits as well. Instead of turning on the air conditioner or fans, which can really increase your electricity bill, a retractable awning will stop the sun from hitting the part of the home we aim to protect from the heat. Stopping the sun in its tracks will mean saving on energy cost and staying cooler on a hot, otherwise, uncomfortable day! Retractable awnings allow you to adjust to any angle desired whenever you want. Depending on the level of the sun, you can retract your awning to the desired position. Depending on the amount of sunlight or shade you prefer, you can adjust your awning accordingly. 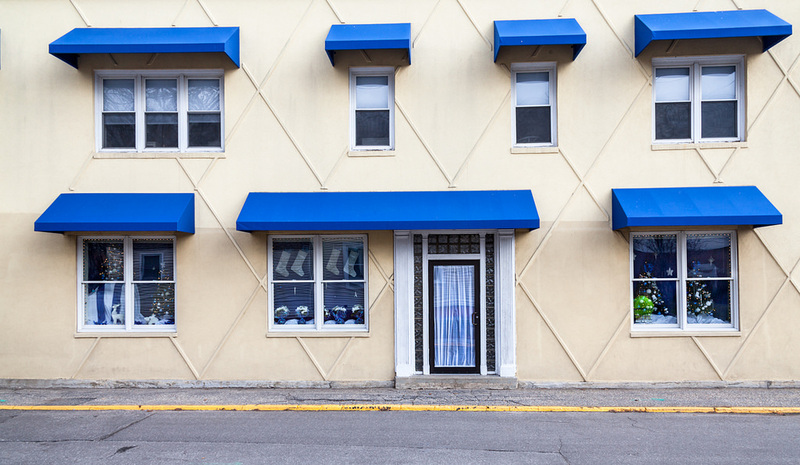 If it snows or rains, it’s important to protect your awning by retracting it. If you retract your awning during snowstorms or heavy rain, there’s no chance it could collapse. Same thing with a windy day, retract your awning to be sure windy won’t take hold of your awning and destroy it. Installing a quality retractable awning will increase the value of your home as well. Those looking into purchasing will see the benefits of a retractable awning as an investment as well. A quality awning will last a long time and will benefit the new homeowner in regards to comfort, eye appeal, and energy cost. Having this addition will allow you to sell your house for a bit more than your neighbor’s home because of these benefits. Who wouldn’t enjoy having some extra space in their home? By adding a retractable awning you can do so many more activities outside no matter what the weather is looking like. You can go and play some card games with family members; you can sit down and have lunch or dinner under the awning, etc. It will also give you and your family a different experience. Retractable awnings are practical and can even serve as décor. With the wide selection of fabrics to choose from, customize your own retractable awning, like you would your window treatments, with designs based on your personal style and preference, or to match the exterior of your home. The choices are endless. Another benefit of the retractable awning is that it can be tailored to your exact needs during production and after installation. You can open the retractable awning precisely according to your shading needs. If multiple people are using the outdoor space, you can change the retractable awning for shade in one area and sunlight in another. It can also be good for blocking the sun since because a lot of sun is not good for the skin. The biggest reason to purchase a retractable awning over a fixed awning is because it’s retractable. Retractable awnings give you flexibility and can be retracted quickly at any time. Motorized retractable awnings allow you to retract the awnings at any second with the touch of a button or the flip of a switch. Fixed awnings don’t allow you to do this. Installing a retractable awning instead of a fixed awning gives you flexibility if and when you ever want to move to a new location. A fixed awning is just that, fixed and requires quite a bit of construction to move. Take a walk through New York City or even the surrounding suburbs and you will see homeowners with retractable awnings all over. Retractable awnings can be a beautiful addition to your home as they are customizable. With the wide selection of styles and fabrics to choose from, you can custom design your retractable awnings to match your décor. No matter the size or location of your outdoor space, retractable awnings can be great solutions to avoid summer heat. There are many attractive, yet durable, options when choosing a retractable awning for your home. Getting a good night’s sleep in New York City can be frustrating if the first rays of morning light wake you up, but with blackout shades installed as a bedroom window treatment improvement, you’ll finally get to sleep past 6:30am in the summertime, especially on weekends. Blackout shades will provide just that – a total blackout in your bedroom with pure darkness for your body’s ultimate rest and a great night’s restorative sleep that’s so important to your well-being. The Manhattan Skyline is a thing of beauty from anywhere except your bed when you are tired and trying to get to sleep, and blackout shades are truly your best option in solving this problem. A blackout shade is a type of shade that, when closed, is meant to block any and all light from entering the room from outside. A “true” blackout shade will block light because of the tight fit within the window casing and the shade. The tight fit is meant to cut back on light with little or no gapping between the material and the window itself. Blackout shades are highly recommended for anyone who lives in New York City or the outer boroughs and has to fight the glare of the skyline lights when they are trying to go to sleep. Blackout shades are also great if you have an entertainment room in your home or apartment where the television or computer screen has to compete with the glare of sunlight or skyline light. Imperfect window installations or simply aging and settling of your home can create imperfect angles that a professional window treatment company will discover and make adjustments for. Trying to do this home improvement task on your own will likely leave some gaps that ruin the blackout affect you’re after. Where Can You Use Blackout Shades? Most people use blackout shades in nurseries, bedrooms, bathrooms, media rooms, or anywhere absolute darkness and privacy is required. These shades provide homeowners with the added bonus of energy efficiency. 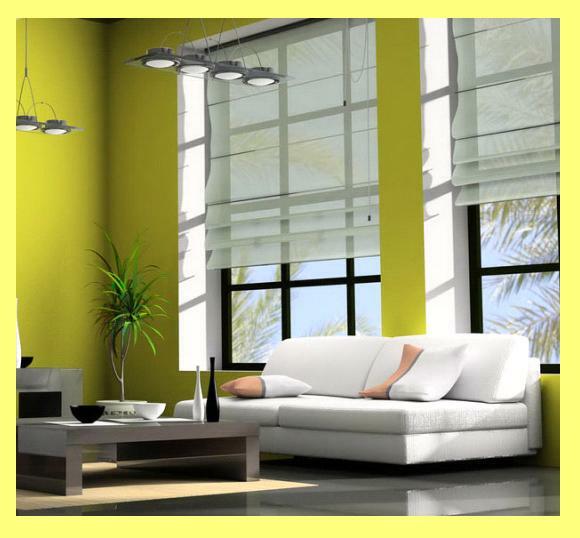 These sturdy shades serve as a light and temperature barrier, reducing your heating and cooling costs dramatically. Blackout shades are also very desirable to parents with newborn babies; individuals who like to play or work at night and habitual nappers because this option affords uninterrupted darkness. There are blackout shades that allow a tiny amount of light in, so when seeking an infallible blackout shade, it’s best to go for the light-tight shades. This variety of blackout shade uses side channels to seal off every possibility of light entering. Nothing will reflect off the window frame, because light-tight shades are set in tracks. With light-tight shades, there are no gaps and absolutely no light. What Décor Pairs Well With Blackout Shades? Generally speaking, textiles and options have come so far, that almost anything can be made into a blackout shade. You can customize both colors and fabrics and style. They tend to have a sleeker design (since the focus of a blackout shade is to block all light), and can be styled with valances or draperies if you prefer a more traditional, designed style. A blackout shade may or may not require a liner (it depends on the brand and the fabrics being used). A roman shade, or a cellular shade, or a honeycomb shade can be made into a blackout shade-using block out materials. Custom window shading can turn almost any design style of shade into a blackout shade, and allow you to find the perfect balance between your sense of design and your need for sleep. Will Blackout Shades Stop ALL Light? With a “true” blackout shade, the light will not enter the room when it is down. If you do not want to have a constant blackout when your shades are lowered, you may go with a room darkening shade rather than a true blackout shade. 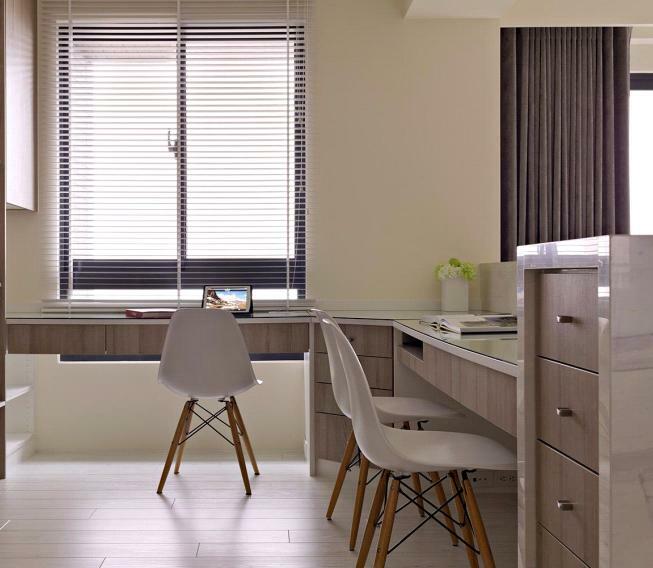 Room darkening shades can be designed to any level of opacity that the homeowner desires. Room darkening shades can be made to make a room very dark indeed, but they are not designed to specifically block all light whatsoever from entering the room (for example halo light from around gaps between the shade and the wall). Besides blocking out the light from different rooms, blackout shades have other benefits to them. Blackout shades believe it or not are energy-efficient. They can keep warm air during the winter months and can keep cold air in during the summer months. This overall can help homeowners save money on the energy bill. 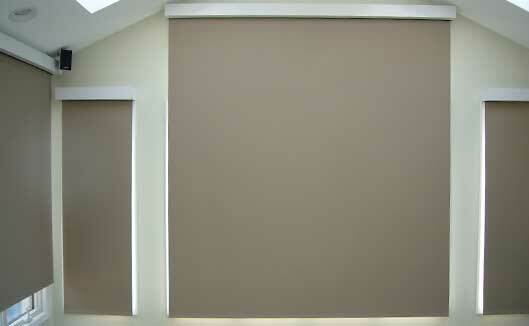 Blackout shades are a thick material, which leads to absorbing noise better than traditional shades. Reducing the noise level from outside can be very beneficial for those living in the city. Blackout shades are very popular in motorized form. This feature allows users to operate the shade from the bed or other remote location. These shades can also be put on timers. This way, the sun rises when you rise. The only con you will find with blackout shades is an inability to find the light switch or remote control. Yes, it gets that dark. Use caution when implementing blackout shades in rooms where small children might be unattended. The pitch-black atmosphere can lend itself to accidents. Are Blackout Shades For You? Blackout shades are in-demand by those who are sensitive to light and wake easily when the sun begins to rise. Darkness can be a sweet relief, day or night, and blackout shades can be the perfect ‘bright idea’ to finally solve your sleep problems once and for all. Depending on what type of shading you choose, you can let in lots of light, or achieve complete blackout effects.